When musicians talk about getting back to their roots, it’s usually an excuse to pull out a battered old acoustic to create some bare bones music. 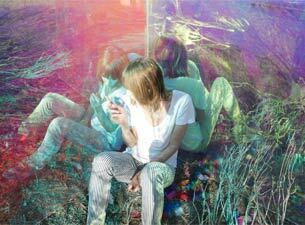 In Beth Orton's case, going back to her roots meant something very different. Having relocated to California a couple of years ago, Orton began experimenting with a series of electronic loops that would eventually come together as her career-redefining new album; a record inspired both by the wide-open nature of Los Angeles and the spirit of Beth’s earliest recordings (electronic work with producers like William Orbit, Andrew Weatherall and Kieran Hebden as well as groove-based music with Red Snapper). Kidsticks repositions Beth's unmistakable voice inside ten pure, audacious, playful and kinetic songs. A resolutely focused album, it represents a rare chance to hear an established artist get plugged in and completely rework the songwriting process with wide-eyed, open-minded glee. Orton has been one of the most unique and beguiling voices in music for the past two decades. Her debut LP - Trailer Park - pioneered a synthesis of electronic and acoustic songs to huge acclaim. The follow up - Central Reservation - brought international success and the Brit Award for Best British Female. Further albums like the Jim O'Rourke-produced Comfort of Strangers and 2012's Sugaring Season deepened the breadth of her craft (Sugaring Season was described by Pitchfork as "10 songs of sweet resilience delivered by a voice of seemingly effortless expression”).